Description: Let's Go Fly A Kite was created with a cheerful jewel-tone color palette. This quilt would be perfect for a baby or young child. It could also brighten a wall or table. 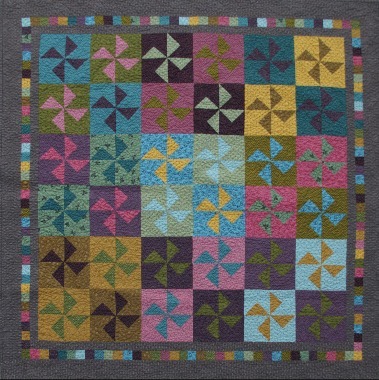 Use your imagination and choose other colors for this easy quilt.